The mask itself smells absolutely wonderful and the consistency reminded me of when I used to have bananas and custard for pudding when I was very little. Luckily there are no hints of any honey scent, as honey usually makes me want to puke. You don't seem to get a lot of product in one sachet, but believe me, it's more than enough to cover your whole face. I cleansed my skin and literally just smeared the banana-y goodness onto my face. I went downstairs to make myself some toast with the delicious gloop still on my face, before I froze in horror when I heard a knock on the door. It was the postman, and I couldn't even hide because he had already seen me. I had to open the door covered in face mask with my hair scraped back - oh the shame! Despite this little mishap, I continued to eat my toast as I let the mask work its magic on my skin. When rinsing off this mask I honestly felt like a princess. The mask is recommended for dry/combination skin and my face felt so soft and buttery as if I'd just lathered myself in moisturiser, it was utterly gorgeous and not even greasy! It made applying foundation on such a smooth base intensely satisfying, not gonna lie. 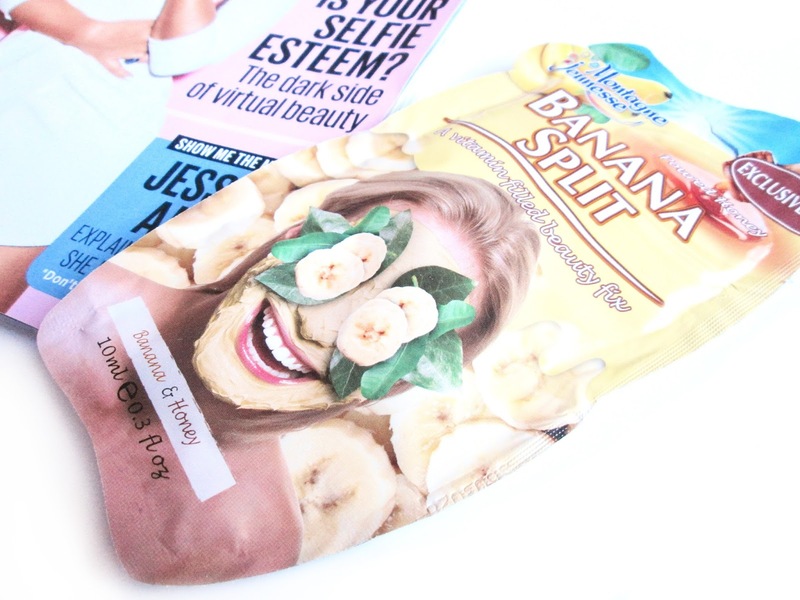 I can't wait to stock up on more banana split masks the next time I'm in Primark, I honestly want to cover myself in this stuff day after day. Have you tried this mask, or any of the Montagne Jeunesse range? What product makes you feel like a total goddess? 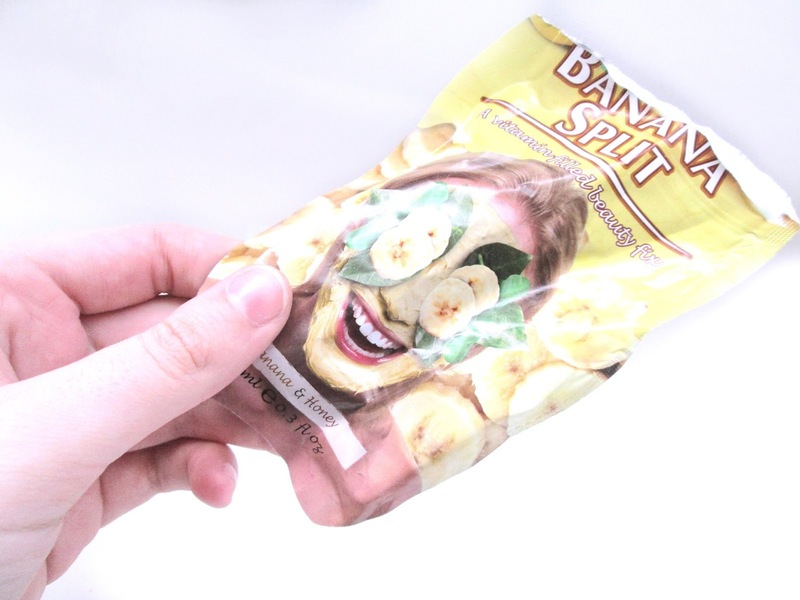 This looks awesome - I love their masks anyway as they really help my skin out so much! <3 I'll have to try and pick this one up sometime, great post babe! 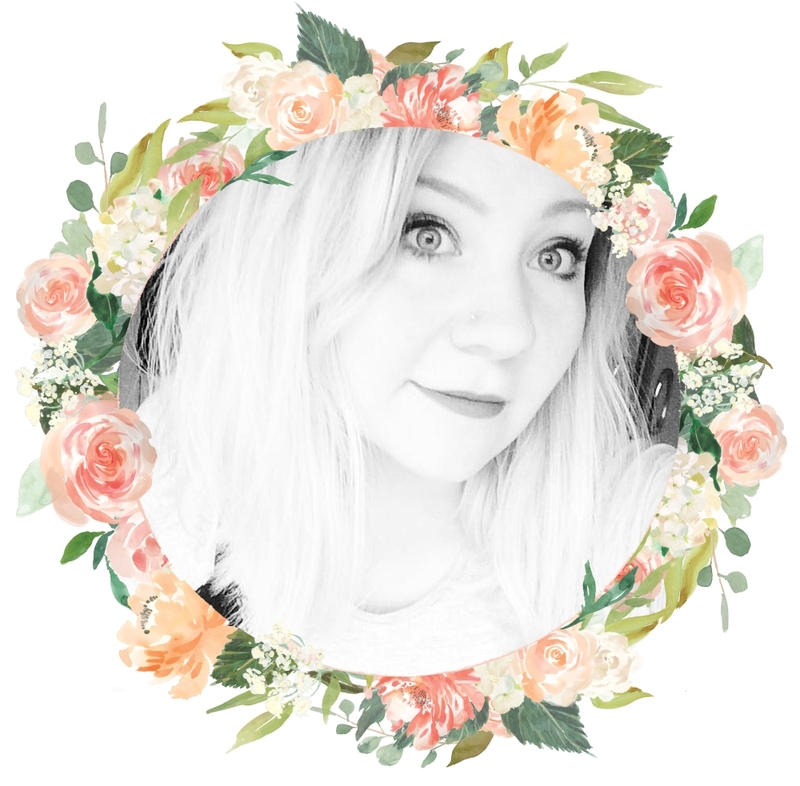 With love, Alisha Valerie xo. Ooh, I love this brand! Definitely need to check out this mask. My faves are the peel off anti-blemish ones!